Michelle Warner is in her 20th season as head coach of the Lady Bulldogs. She was voted "Coach of the Year" in 2011. She has over 26 years of coaching experience at various levels. 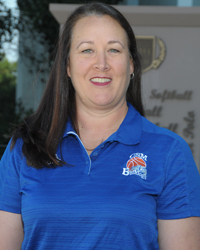 Before coaching at CSM Coach Warner was co-head coach at Cerritos College from 1996-98 with a record of 48-22; her team earned a spot in the State Final Four. She was assistant coach at Sacramento City College (1992-94) during which time the teams won two conference championships. She also coached a JV team at UC Davis (1989-91) that posted a record of 36-2. 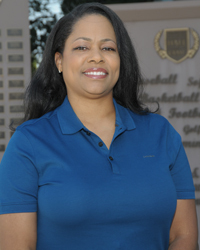 A native of Southern California, Coach Warner attended Brethren Christian High School where she participated in volleyball, basketball, and softball. She earned All-League Honors for all three sports and was MVP and Most Inspirational on the basketball team. Coach Warner played basketball for Cerritos College where she led her team to two conference titles and was selected First Team All Conference.She still holds the records for career rebounds (12th), blocked shots (10th) and single-season points (17th). 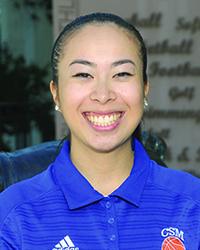 She was honored with Cerritos College’s Female Student Athlete Award her sophomore season. From Cerritos, Coach Warner transferred to UC Davis where her team went to the Sweet 16 in NCAA D-II playoffs. Coach Warner loves spending time with her husband, Joe and their daughter, Joelle. David Clark enters his third season as assistant coach for the Lady Bulldogs. He is currently in his fourth season as varsity girls head coach at Oceana High School in Pacifica. 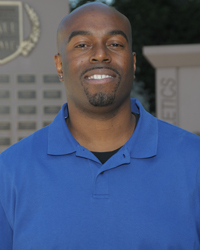 Prior to coaching at Oceana, David was an assistant coach for the San Francisco State Men’s Basketball team for two years. He assisted and participated in the men’s basketball program while attending Santa Barbara City College. David earned his M.A. in Coaching and Athletic Administration from Concordia University and completed his B.A. in Radio and Television Broadcasting at San Francisco State.